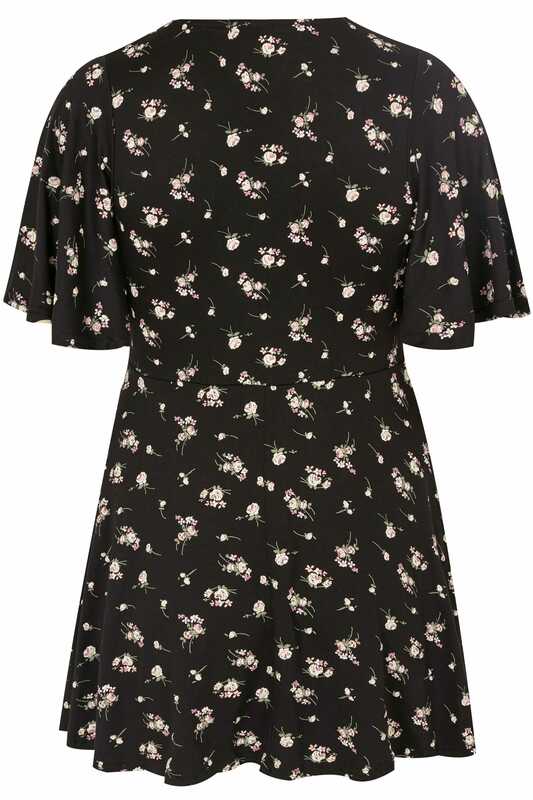 Update your daytime wardrobe with this ditsy floral top. In a flattering longline length, it features a feminine v-neckline and stylish angel sleeves. Style with denim and a pair of pumps for everyday appeal. 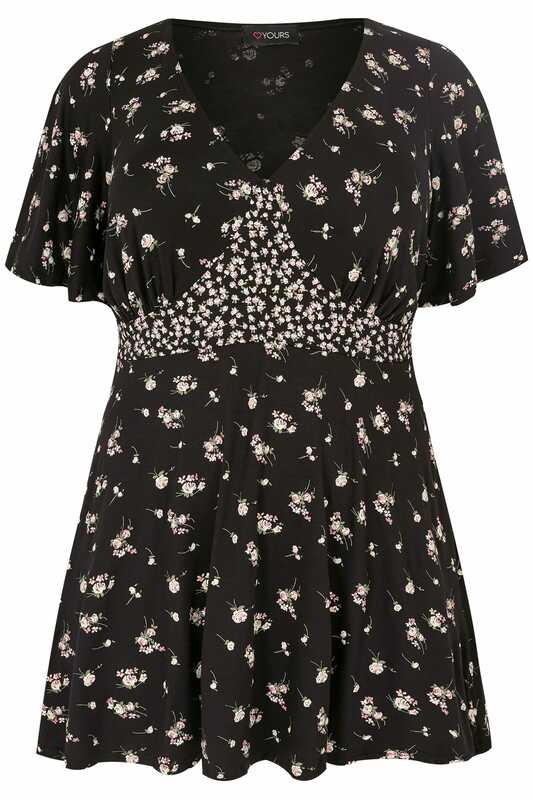 Boasting a flourishing floral print, it is a pretty wardrobe must-have this season.